Comment: I would like to get an estimate for a residential property. This is a new build, the grass is junk, I want it all pulled up and new grass down. Comment: We have two projects: (1) the ground above the septic lines has settled and we need to have those filled and the ground leveled. (2) We would like to hire a consultant to give us advice on designing and laying out the backyard. Comment: Need 2 swales to direct rain runoff to new catch basin, then piped to low side of property. Comment: My new home is on 1/2 acre, in subdivision. 4 homes uphill from me, all on .5 acre lots, have backyards that drain into my back yard, water continues to my downhill neighbor. Takes several days to dry the clay after a rain, also erosion. I'm thinking a swale is needed or some other collection system, but need advice on this. The goal: keep the water moving, not soaking my yard, so that I can mow a day after a rain. Comment: Needing someone to dig about a 15-20 foot trench to put something in to drain water over the hill away from the house. Then install on top of that a pebble walkway out to pebble covered fireplace ring area. Piney Flats Landscaping Companies are rated 4.79 out of 5 based on 70 reviews of 15 pros. 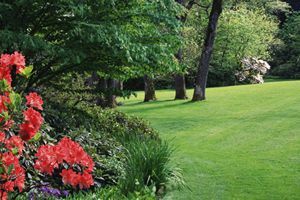 Not Looking for Landscaping Contractors in Piney Flats, TN?